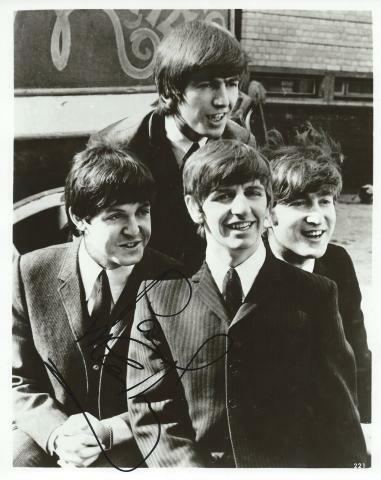 Here's an amazing piece of Rock and Roll memorabilia featuring the band that led the British Invasion and became one of music's most listened to groups. 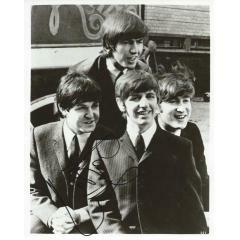 This 8" x 10" photo of the Fab Four - The Beatles - is signed by none other than founding member, Paul McCartney. 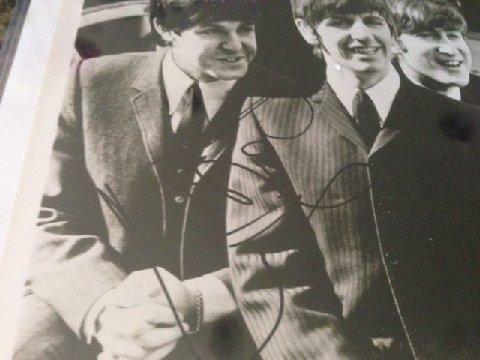 McCartney is one of the most difficult music autographs to obtain and is offered here in GEM MINT 10 condition. McCartney gem mint 10 examples are as few-and-far between as McCartney. It is a very distinctive, very flowing signature. 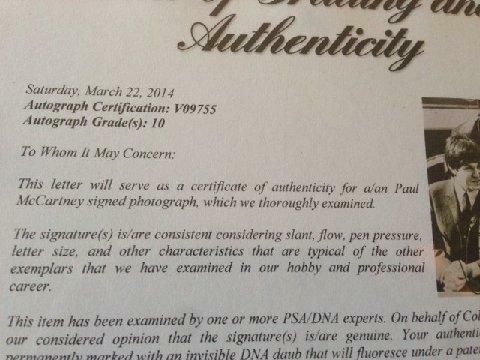 This piece is graded and authenticated by PSA/DNA. Due to the very rare nature of this item we must charge your credit card for the full amount immediately upon taking your order. This policy ensures we reserve the signed photo for you. We will confirm your order by Email. Please allow at least 2 weeks for delivery.